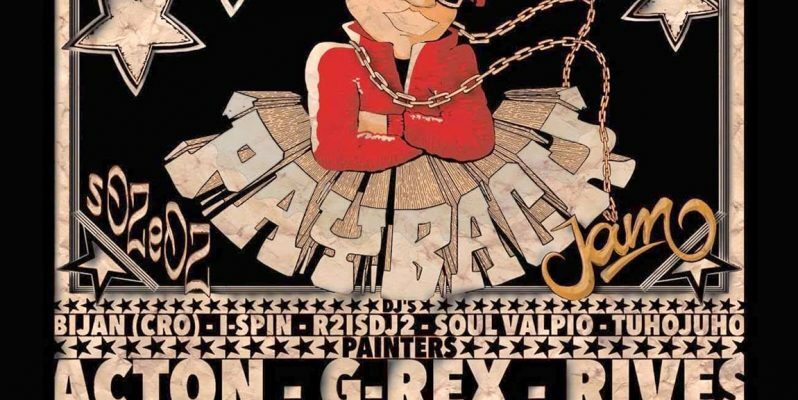 Payback Jam is a hip hop event that takes place in Jyväskylä, Finland. This year in the middle of the town, Kauppalaispiha to be more precise. And why am I posting about this..? Well, in addition to rap music, street dancers, parkour and whatnot there’s also live graffiti painting on the spot. For example by a local writer, Rives, whom I think happens to be one of the best stylewriters in Finland at the moment. Seriously. Check the dude out! But yes, I will be painting there too. So, be there or be… something. And if you decide to just be something, at least check out the FB-event and Insta-accounts of the organiser. If possible, I’ll try to post something from the event as well. Most likely on my Insta-account.